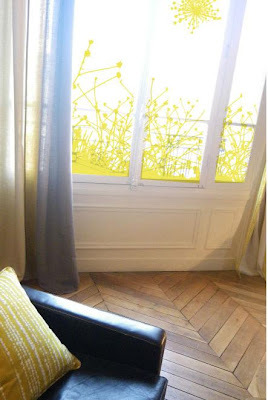 COLORFUL Wall Decals for WINDOWS! For those of you looking for colorful Window Wall Decals, we have you covered! All 34 vinyl colors that we offer at WALLTAT have the same level of vibrant color on BOTH sides. That's right, you'll see the same color on the adhesive side as you will on the main side. 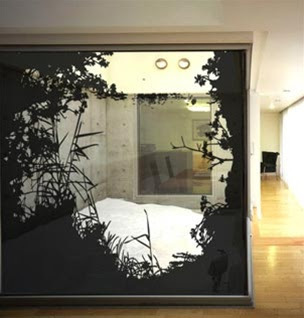 This allows you to maximize the impact of your windows decals from both the interior and exterior views. 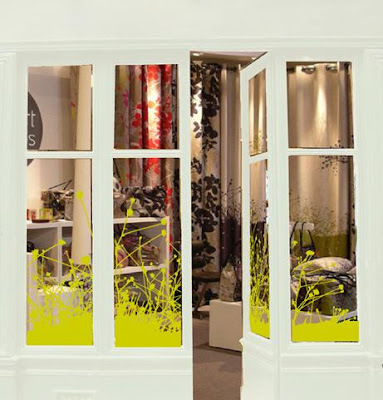 Of course, we recommend that you install the Wall Decals on the interior side of windows and/or doors to lengthen the lifespan of the decal to enjoy it for years and years. View our COLOR CHART today to see all of the gorgeous colors that we offer. Maximize the curb appeal of your home or business today with 2-sided color throughout WALLTAT vinyl Wall Decals. 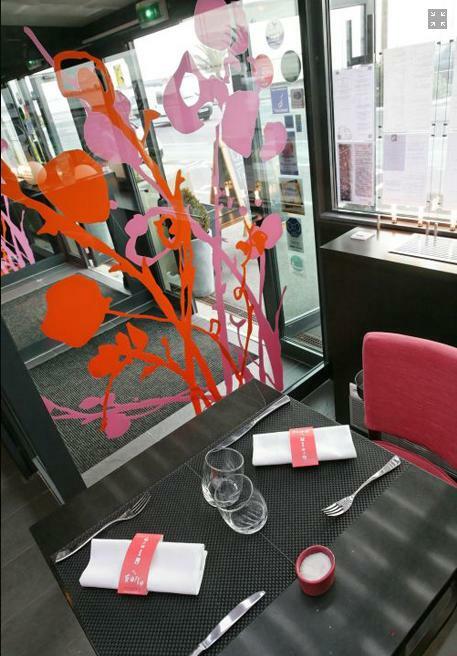 The use of two "Petals" WALLTAT Wall Decals were installed on each side of this restaurants airlock corridor. The vinyl colors Pink and Dark Orange were chosen to tie in the with bright and contemporary decor of this trendy New York eatery. 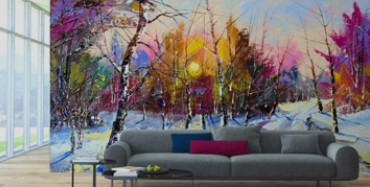 The attention grabbing colors can be seen from both the interior and exterior of the space. A custom wall decal design was created for the main windows of this boutique. This photo clearly displays that the Yellow Lemon vinyl color is vibrant from both the interior and exterior views. This residence has used the "Passage" Wall Decal in Black to serve as a decorative border for large windows looking into the courtyard. What once looked bland is now bursting with interest and style.